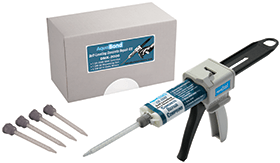 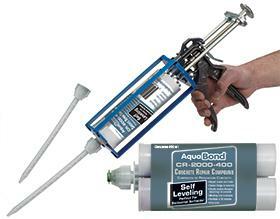 AquaBond® professional-grade, multi-purpose epoxies for swimming pools, pool decks, spas, fountains and water features. 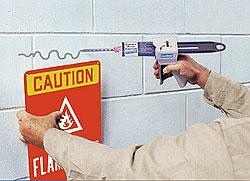 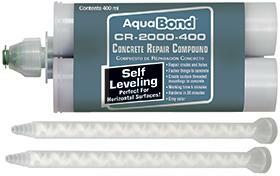 Use for concrete repair and hundreds of other uses. Our "no-waste, no-mess" resealable cartridge system makes any job fast, clean and easy! 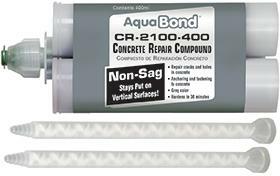 Dispenses as a thin liquid and easily self-levels, providing a flat, clean crack repair on horizontal surfaces such as pool decks and walkways. 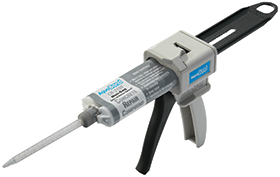 Our versatile, high-viscosity, non-sagging formula stays where you put it, making it ideal for everything from filling vertical cracks to attaching objects to walls. 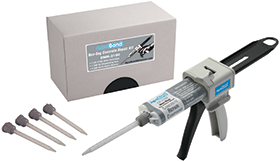 Begin with this complete CR-2000 400ml starter kit, then purchase additional cartridges and static mixer tips as needed.